If you are a resident of the province of Aurora and you wish to apply for SSS membership or would like to apply for either a salary or a housing loan, then you should visit the SSS Baler Aurora Branch. The said branch office offers the same services offered by all the other branch offices of SSS and this includes processing of applications for membership, salary loan, housing loan, sickness benefit, death benefit, and even retirement benefit applications. 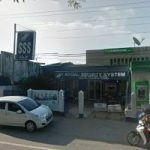 The said Baler Aurora branch details of the agency was sourced directly from the agency’s website which also provided us with the SSS call center telephone numbers and the contact numbers and email address of their OFW Contact Service Unit or CSU. you can use the OFW CSU email address to send your concerns.